One of the most obscure albums Covay cut, Funky Yo Yo slipped out in 1977 on the tiny Versatile label, with such little notice that it's even escaped getting listed in some discographies. It's a strange record, too, with production so sparse (and some dull muffle to the sound fidelity, though it's not a serious impediment) that one suspects these might be demos, or perhaps not even 1977 recordings. 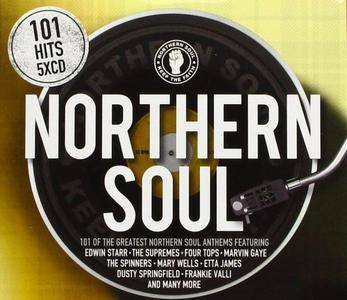 Yet in a way that very rootsy, stripped-down feel makes it appealing, particularly as it was appearing at a time when many fellow soul greats of Covay's generation were issuing bloated, hopeless attempts to jump on the disco bandwagon. Far from emulating Barry White, Covay sounds rather like Van Morrison on much of this material, though the similarity's probably coincidental. Particularly on the more bare-bones arrangements, these actually have a cool intimate feel, as if they're songwriter demos intended for pitches to '60s Atlantic recording artists. 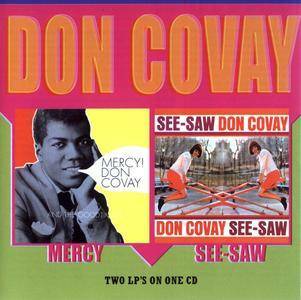 In 2000, Koch reissued Don Covay's two classic mid-'60s albums, Mercy and See-Saw, on one tremendous CD. The term "classic" is thrown around haphazardly in pop music, but these are two sublime records that earn the term, even if they're not as roundly celebrated as platters from Otis Redding or even cult favorite James Carr. Though he racked up a number of singles on the R&B charts, he never had a huge crossover hit, but his music stands as some of the most effervescent, infectious soul of the '60s (not to mention that his vocal style was a clear inspiration to Mick Jagger). What makes his music so remarkable is how it's earthy Southern soul, kicking really hard in its rhythms and with plenty of growl in Covay's voice, but is as nimble, tuneful, and sunny as the sounds coming out of Chicago and Detroit during the mid-'60s. Perhaps that's why he never quite got a huge single – he straddled the two popular sounds without fully being part of either. It may have not resulted in big singles, but it resulted in splendid music. If there's not much difference stylistically between Mercy and See-Saw – they're both pretty much cut from the same cloth – there's also little difference in quality. It's all tremendous, enjoyable, sweet Southern soul. Razor & Tie's Mercy Mercy: The Definitive Don Covay provides the definitive overview, but for a pure concentration of Covay at his peak, this is irresistible and essential. 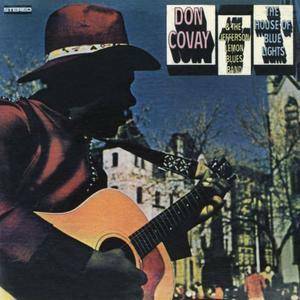 This is not the vintage Don Covay sound that many of his fans may know about and you won't find any of his big hits on this CD but this 1969 album sounds like a labor of love, something that Covay was dying to record for a long, long time. You can hear the sincerity, vitality and enthusiasm on every track. Wonderful album. As other reviewers have noted. this is a bit of a hybrid. Not a traditional blues album by any means, but one that mixed blues with soul and a dash of rock too. Very satisfying results. 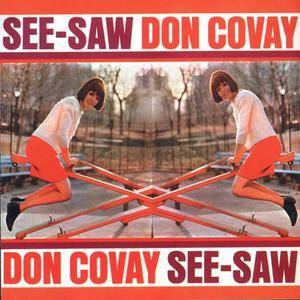 There are times when Covay is singing, that I swear it's Mick Jagger. The vocal inflections are that similar sometimes. But the real highlights are the songs themselves, plus the guitar playing. Something to savor. 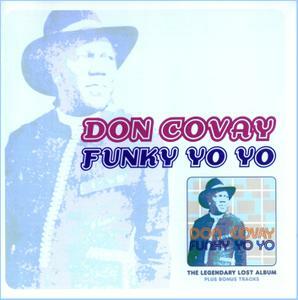 Don Covay rides his most creative crest as a solo artist with this hearty collection of songs. The settings are simplistic for Atlantic Records, which recorded similar artists in lusher settings. But rawness is what makes these recordings arresting. A guitarist as well as a singer, Covay's pickings aren't buried in the mix, and you don't need a Geiger counter to detect the grooves. Most impressive are "See Saw," "Mercy Mercy," "Sookie, Sookie," and "Boomerang," a call to dance with the feeling of Major Lance singing a Curtis Mayfield song. On "Fat Man," you wonder if he's singing about his old Washington, D.C., buddy Billy Stewart. The two began their careers with the Rainbows. 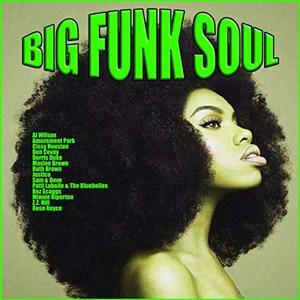 Big Funk Soul contains the definitive Artists & Soul, R&B, Funk. 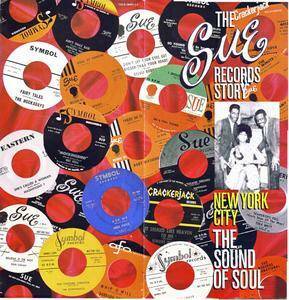 The Best hits from Al Wilson, Amuzement Park, Cissy Houston, Don Covay and many more. 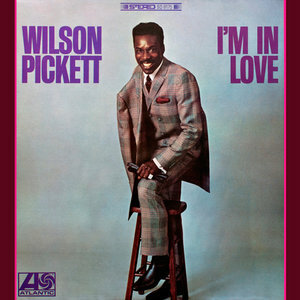 Influential soul icon, Wilson Pickett, soared with his stunning 1968 classic, "I’m In Love". A collection of his strongest material, the album highlights Pickett’s expressive vocals and maturing musicianship. The record features the beloved cuts, “Jealous Love”, “I’m In Love” and “She’s Lookin’ Good”. The recording is yet another milestone in an always-consistent career. This four-CD, 100-song set is the best representative body of work ever assembled (or ever likely to be assembled) of the R&B and soul releases from Henry "Juggy Murray" Jones' Sue Records. The range of sounds runs the gamut from ex-Drifter Bobby Hendricks' first hit for the company ("Itchy Twitchy Feeling") in 1959, through the string of hits by Ike & Tina Turner, to the company's last hits some seven years later. Not only is every chart single that the label ever had represented, but so are club hits from the mid-'60s and solo sides by uniquely New York-associated figures. The contents of the box are almost ideal, along with their arrangement – in contrast some other box sets, this one follows strict release order, which is a great way to follow the history of the label (though not ideal for anyone, apart from owners of multi-disc players, who simply wants to hear the label's best-known tracks in one sitting). 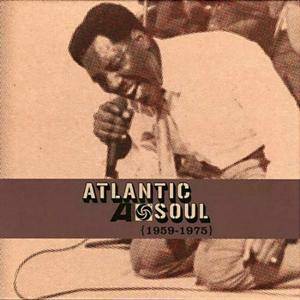 Way back in 1985, before the CD revolution truly kicked in, Atlantic released the monumental archival project Atlantic Rhythm & Blues: 1947-1974, a seven-volume set of double-albums chronicling the label's crucial role in the development of R&B and soul. Over the course of that set (later condensed to eight CDs) it was possible to hear the music develop from blues into a soul – an impressive feat as a sheer compilation, one that is even more stunning when it's considered that it all came from one label and its subsidiaries. Atlantic Rhythm & Blues did the job so well that the 2007s set Atlantic Soul: 1959-1975 can't help but pale a little in comparison, as it lacks both the scope and historical heft of its predecessor. Often considered the most important decade of the twentieth century, the 1960s provided some of the most iconic music ever! 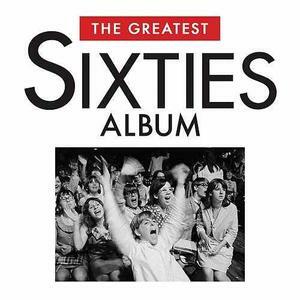 The Greatest Sixties Album explores the best of this historic era, from the final moments of Rock N Roll to one of the greatest eras of pop ever, we include The Animals, The Supremes, Aretha Franklin, Buffalo Springfield, Ben E. King, The Monkees, James Brown, Marvin Gaye and many more. The only Sixties album you’ll ever need!